by a young white-clad maiden standing beside your bed with lighted candles in her hair singing the traditional song and offering you coffee and buns. 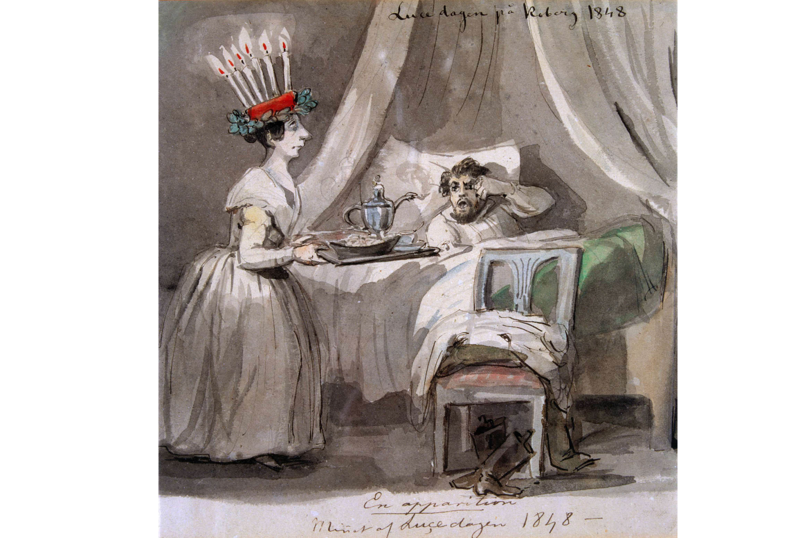 The origin of the Lucia tradition is hidden in darkness, but Lussi (or as we call her Lucia) was supposed to be the queen of the ghosts who appeared around mid winter. Not until the Roman Catholic church had established itself in Sweden, was the old Lussi tradition linked to the third century Italian saint Lucia. The Lucia celebration, which is a festival of light, is the most popular Christmas tradition in Sweden and among Swedes in Vancouver. 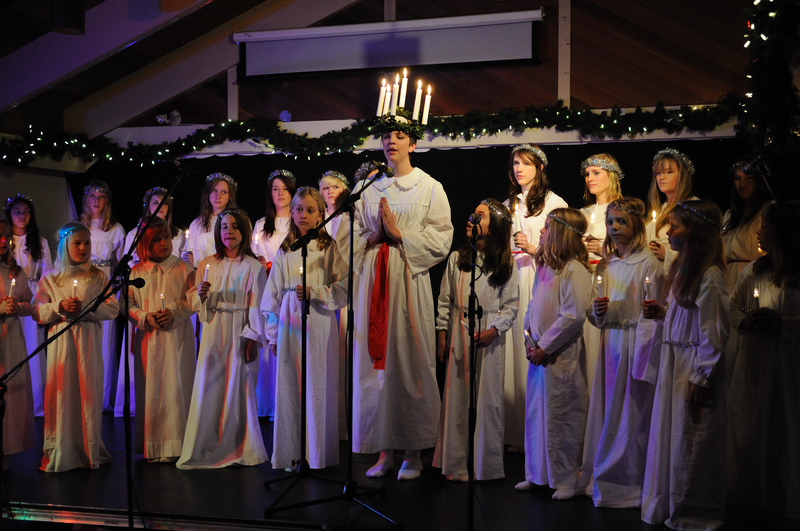 In Sweden, every school, every business, every organization and almost every family celebrate Lucia in the morning of December 13th. Hanna McFarlane was the 2016 Lucia. 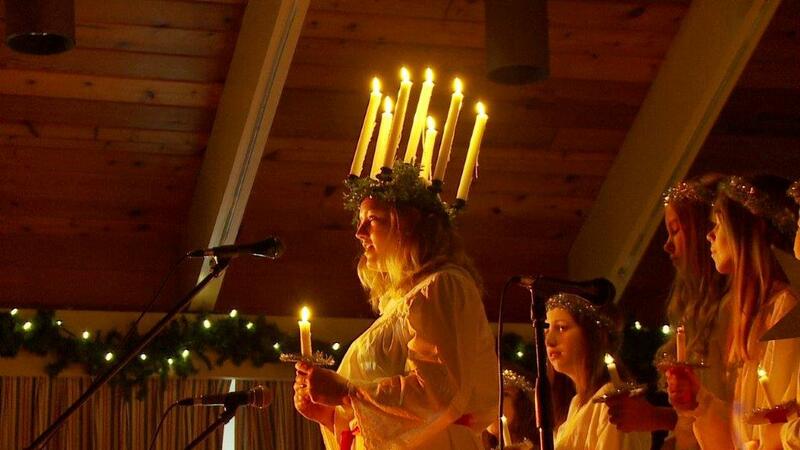 Come out and be part of one of the most traditional Swedish events - the Lucia pageant! Tickets for members will be available on October 1st, for non-members November 1st. 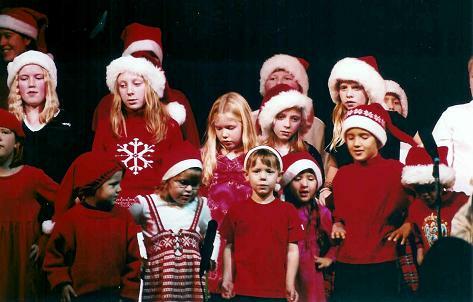 Every year the kids in Swedish School sings traditional Christmas songs for us. 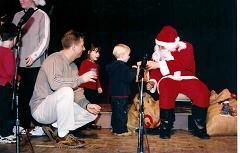 All the kids get a Christmas gift from Santa. The small kids really enjoys this event.